April is Jazz Appreciation Month, and International Jazz Day is April 30th. Based on my previous posts, "Reasons why I love jazz" and "Reasons why I love jazz: part 2", I wanted to celebrate jazz again in the same format as my first post, "Reasons why I love jazz". There is so much negativity in the world, but I love jazz because it brings beauty to my world everyday. So I wanted to dedicate an entire post to the beauty of jazz by including songs that I find simply beautiful. Because the world can be falling apart and anxiety takes over my body, but within a second of hearing this everything is finally okay. 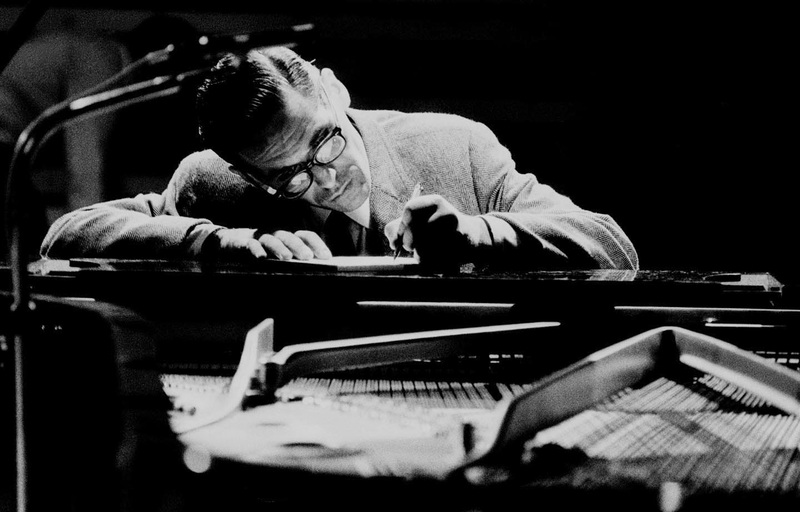 Because no matter where I go lately, all I want to hear is the reassuring sound of Bill Evans on the piano. Because it's melancholy yet hopeful. Because the lyrics are: "never let me go/ love me much too much/ if you let me go/ life would lose its touch". Because I can feel Monk's intensity as if he's standing over my shoulder. Because it's flowing, and free, and lovely. Because I can hear him trying to change the world - that sort of need to be playing. Because I feel like I am right there, next to his piano, with the clarity of the sound. Because Monk can lift my day when nothing else can. Because this song is so positive. Because 'Chet Baker Sings' is my go-to album. Because it makes me feel carefree and lighthearted. Because I can sing along to everything. Because when I'm doubtful, I can be reminded of the silver lining in life. Because from the first note I'm there, there, anywhere but here. Because it's beautiful without reserve. Because it's creative and human. Because I can hear an entire orchestra worth of colors in one solo piano. Because it's improvised and in the moment. Because this sort of beauty wasn't planned, it just came to be. Because it's one of my favorite ballads. Because when I play this song, I try to practice emotion by living through this song. Because I think about the lyrics: "darn that dream/ and bless it too/ without that dream I never would have you". Because sometimes all I need is introspective music to feel like myself again. Because this song makes me feel like I am in a hot air balloon, flying among the wispy clouds with no worries. Because Erroll Garner plays with such simplicity and nuance. Because it's relaxing and keeps such an integrity to its melody. Because there is no rush in this song to go anywhere, it just lets everything happen. Because I can hear such lightness and love in the melody. Because I feel a dancing sway each time I hear this. Because Eric Dolphy is such an inspiration to me. Because Mingus adds so much texture and attitude to the piece. Because every Mingus composition seems to be a destination - it goes beyond music to become a method of transportation. Because suddenly I start to see a novel unfold, full of the most enigmatic characters. Because when I am feeling alone, lonely, isolated - I know that I have this music. Because music does so much to uplift people and bring people together. Because Duke Ellington doesn't even compose - he sets instruments to colors as if to paint a canvas. Because I can feel like I've lost every friend, and then hear this in strength. Because even in my own solitude, I am not too alone after all. Because some days all I want to do is play standards for my family, and this song is one of the songs I play for them the most. Because I could listen to Billie Holiday sing the phonebook, she has such conviction. Because it has such comforting lyrics: "I'll get by/ as long as I have you/ though there be rain/ and darkness too/ I'll not complain/ I'll laugh it through". Because when I listen to jazz I don't hear musicians playing instruments, I hear everyone as friends just talking to me. Because Charlie Parker has such a body of emotion, inflection, and passion behind every note. Because the combination of saxophone with strings is lush, lively, and creates a cloud of sound. Because I hear charisma and jubilance. Jazz means a lot of things to a lot of different people, but during this Jazz Appreciation Month I have really come to appreciate the fact that if everything in my world is bringing me negativity, I can turn to jazz for a bit a beauty that sparks positivity in my day. And this beauty is really what makes jazz speak to me. I encourage anyone that is new to jazz to seek out some jazz songs they find beautiful, and just qualify them as how they make you feel. Because at the end of the day, what makes you feel best is the music for you. "Reasons why I love jazz" was my first post on this blog published on December 29th, 2013. I am very grateful that over a year later I have kept on writing. Many things have changed, but sharing my love of jazz in any small way will always bring me joy. Please visit my jazz poetry blog, "Without a Poem", where I improvise a new poem everyday. Why do you love jazz?